A bunch of convicts are being send away in space to find a black hole. High Life is directed by Claire Denis and was released on Apr 12th, 2019. 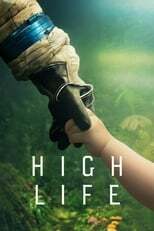 Director Claire Denis's Drama & Science Fiction movie High Life is produced by Wild Bunch & ARTE France Cinéma & was released 2019-04-05.